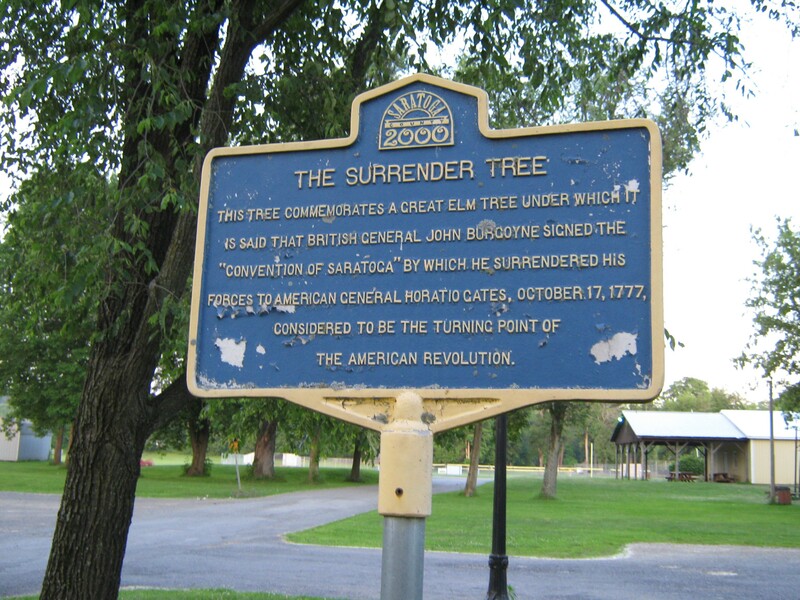 Nine miles east of Upstate New York’s Saratoga Springs and down an unpaved, dusty road in historic farm country (that once was crossed by Burgoyne’s troops on their way to defeat in 1777 at the Saratoga Battlefield) is 9 Miles East Farm. 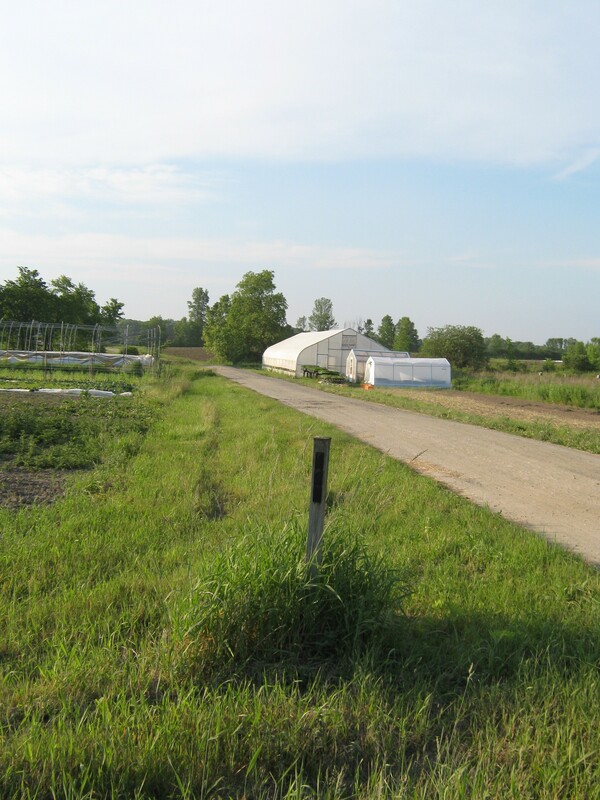 The 29 acre farm has become well-known for its farm pizza. The farm has also expanded its business to provide ready-to-eat meals called GO Boxes that it delivers to subscribers and which it offers in a much wider geographic area than the area covered by its pizza delivery business. GO Boxes are available for delivery in the Capital District region of upstate New York as well as the Boston and metro-West Boston area. 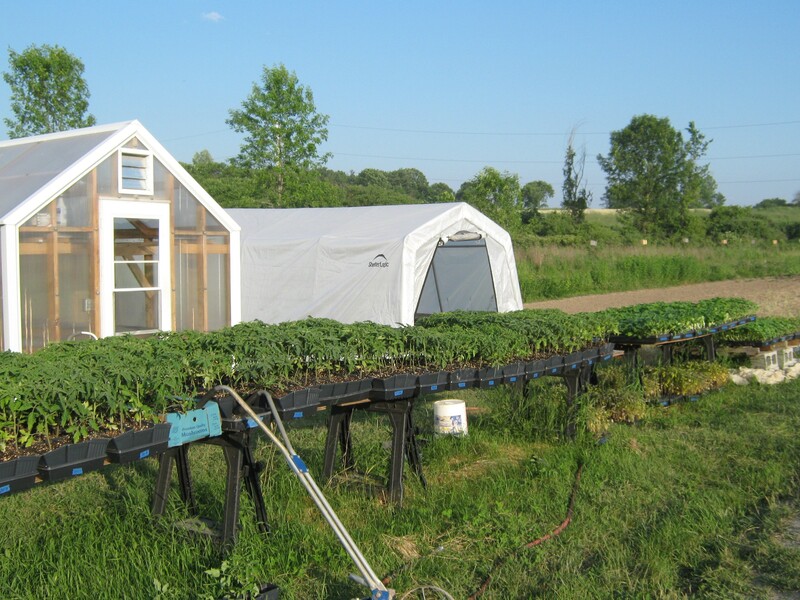 But it’s the farm’s pizza that deserves especially to be spotlighted and there is wonderful news on that score: 9 Miles East Farm recently increased the limited number of pies made each day from 12 to 20, with delivery seven days a week, 5:00PM to 10PM (4:00PM start on Fridays). 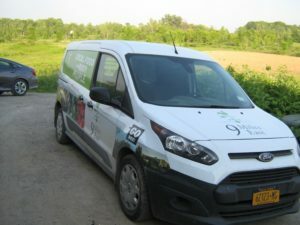 Now there’s a significantly better chance that residents of Saratoga County in Saratoga Springs and the towns of Wilton, Gansevoort, Greenfield and Milton (plus residents of the village of Greenwich in Washington County) can enjoy delivery of a farm fresh pizza, which this pizza lover would rank as the very finest. But even if you’re not a nearby resident or a tourist in a local inn or hotel (who can accept delivery of a pizza), a daytripper can journey down a dusty Goff Road in Schuylerville (Saratoga County) to the farm to pick up one of the twenty pizzas (albeit, the farm is not signed and this first time visitor was a little wary about turning up the unpaved drive to the farm buildings). 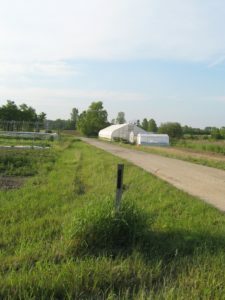 On the plus side, a leisurely hike around the farm was a great way to spend a few minutes before the scheduled 7:30PM pick-up for a pizza, which was ordered on-line a couple days earlier. And any wariness is forgotten after enjoying one of the finest pizzas imaginable. And this is not marketing or promotional hype. 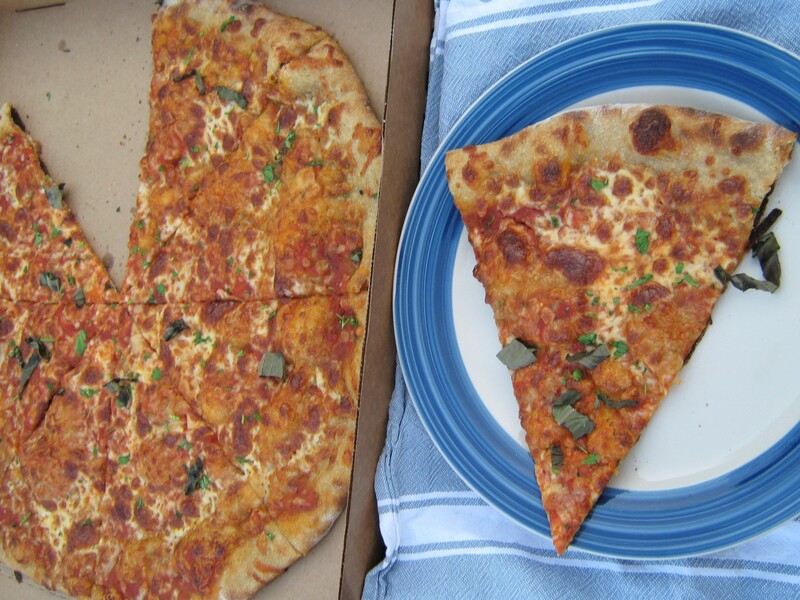 The chewy, grainy and wholesome crust is so delicious, this pizza lover wished it was thicker. Plus the three-day slow, natural fermentation process makes it easier to digest than traditional white pizza dough made with commercial yeast. Also appealing, is the better quality whole milk, low-moisture mozzarella used, which tastes pure and perfect (especially since much pre-shredded, commodity “stuff” is commonly coated with cornstarch). Not a gooey mess like too much pizza, 9 Miles East Farm pizza has just enough cheese. And the sauce which isn’t sweetened and is made with tomatoes roasted with garlic and herbs has incredible flavor that complements the delicious sour dough crust. 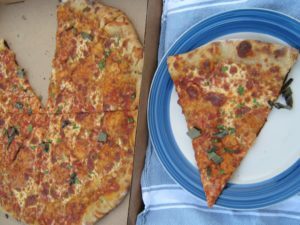 Only three different pizzas are available and the Farmhouse pizza with tomato sauce and cheese (the house pizza) was a perfect choice for this pizza lover. 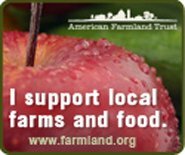 Also available is the farm’s Barnyard pizza, which adds a mix of sweet and hot Italian sausage from nearby West Wind Acres in Charlton. The third option is “what makes sense for the season” and of late, the option was Spicy Mexican with onions, garlic, serrano and Anaheim chilies and for the carnivore version, chorico and andouille sausage. Given the high-quality ingredients, the $20 for the pizza was a fair price indeed and there was half a pie leftover for lunch the next day to enjoy with some sautéed greens (broccoli rabe and kale) freshly delivered in this reviewer’s weekly CSA share from Roxbury Farm! 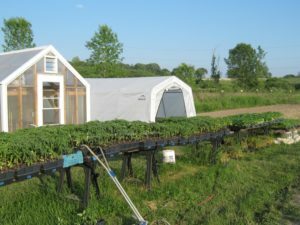 For readers who are not fortunate to live in 9 Mile East Farm’s delivery zone or within driving distance, check out this website’s Farm to Table Pizza directory for other possibilities.